by Shannon Clark in Giving Birth Naturally | 77 comments | Contains affiliate links. T hese 6 surprising statistics are just a sampling of the evidence that should make us rethink business as usual when it comes to birth in America. Each one represents a choice that many pregnant women are called upon to make about their births. And after you’ve seen them, the way you think about birth will never be the same. If women had this information available to them, they might choose differently for themselves and their babies. It’s easy to see how without it, many births lead to unnecessary inductions and c-sections. 1 Ultrasounds are bad at measuring baby weight. During the third trimester they are an average of 10-20% off in estimating your baby’s actual weight. In other words, an average sized baby could be estimated as weighing over 9 pounds. 3 Having a doula to support you during birth will decrease your risk of c-section by 28 percent. Doulas also decrease the likelihood of many other medical interventions and increase a mother’s satisfaction with her birth experience. It’s no surprise then that their presence at births has doubled in just the last 6 years. 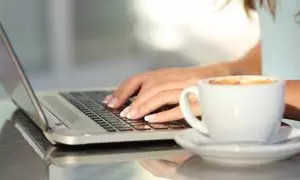 4 Seventy-four percent of women who attempt a VBAC will be successful. Unfortunately, most women are not supported by their care providers to even try. Many hospitals have banned VBACs. The maternal death rate is 3 times higher for repeat c-sections than VBACs. Read my book Natural Birth Stories: The Real Mom’s Guide to an Empowering Natural Birth. Get inspired by the 200+ pages of birth stories and empowering research. Now available in paperback and on your Kindle. 5 Moms who experience induction of labor with an epidural are 6 times more likely to have a c-section than those who don’t have either intervention. 6 Ninety-five percent of low-risk women could give birth without medical intervention. About one quarter want to, but only 2 percent actually do. This needs to change! More on that all month long in the 31 Days of Natural Birth. Sign up here to get 3 full chapters of Natural Birth Stories FREE. What piece of information or research most influenced your decisions for your birth? lol. Guess I got lucky on the first one. My son decided to come 4 days early, the same day as the royal baby, no less! Actually, the doc wanted to induce me, not because I was late, but because I was already 6 cm dilated and still not in labor. He couldn’t believe it! I walked into his office for my regular appointment and after doing the pelvic exam, he wondered that I could walk in there at all. He said he’d rather have me in the hospital at that point than running around because once I started labor, it would go fast. I wound up not having any drugs at all, but it wouldn’t have mattered if I had. By the time I started pushing, I had already accidentally ripped out my IV. Having my legs up gave me charley horses in both legs, so I reached down and hooked my elbows under my knees. Apparently, when I did, I tore the IV line right out because the next time I looked at my hand, it was covered in blood. I had to push for 2 hours because my son got stuck. While I didn’t have a doula, I DID have my husband and my best girl friend coaching me. I had never even taken a birthing class. But my friend was a former soldier and already had a 13 year old daughter, so she knew what she was doing. Ultimately, I had to get snipped and even then, my son decided to stick. Then the doc had an idea. He looked at me and said, “Try pushing when you’re NOT contracting.” One push and he was out. I wanted to kick the doc in the head for not thinking of that an hour ago. Eh, well. I know this is meant to help new mothers prepare for their birth and I love that. I can’t help feel a little hurt by #6 as a mother who wanted very much to have my natural birth and gave it all I could. We all have a beautiful plan and its important to remember that birth does not always follow what your heart wants most. Its comments like this that leave us c-section women feeling like we failed. Sometimes its the right choice for you and your baby. I agree having a doula is very helpful. You can still have a positive birth experience AND end up having a c-section. Thank you for sharing this information it is helpful. I plan to try a VBAC if I have another child. According to the utlrasound I had, my baby was supposed to be around 7 to 7 1/2 pounds…but he ended up being 5. I was surprised to see that VBAC’s have a higher success rate than giving birth c-section the second time…I can’t wrap my head around why so many doctors say the complete opposite! Because when a Vbac goes bad it goes really bad. laurie, but that does not mean that 20 plus percents of vbac’s “go bad”. Most of the time vbac’s end up as repeat C due to the same reasons, medical intervantiona dn way too much of it. And there are a billion more things that are MORE likely to happen than a uterine rupture. Cord prolapse etc…. Accreta which results often in the loss of a woman’s womb and in the worst bleeding to death. In Australia there was a huge increase in accreta to the point that warnings were made against unnecessary c/s. Still didn’t change the practice and therefore still a real issue. The number above I believe reflects deaths after, due to complications, not the csection its self. Plus are they counting vbacs that go bad and become emergency Csections. Very misleading. Just randomly stumbled upon your blog and am loving it! I’m planning a VBAC for baby #2 sometime in the near future and have been doing tons of research on natural birth, doulas, etc. Will definitely stick around to hear more! Hi Kara! Nice to meet you! It makes me sooo happy when I hear moms doing their research and learning their options for birth! Yea! This is great! But what would be even better would be if you had provided actual references for all of the statistics you gave. I know I feel much safer repeating something that I know I can go find out all about in a peer reviewed journal over a stat just spouted off on the internet. Hi Jeanine! Thanks for your comment. I totally agree! I hate it when blogs provide technical information but don’t cite their references. If we’re going to provide useful content to our readers, we must hold ourselves to a higher standard. I’m not quite sure what you’re looking for though? I listed and linked to the reference for each statistics at the bottom of the post. If I can provide any more specific information for you, let me know! I really have heavily researched this topic while I was writing my book, and have quite a bit of info available if you need it. Sorry about that! I made them a little bit bigger and bolded the title, so they’d be easier to find. I really LIKE #4. But where is that statistic, specifically? (about the maternal death rate being higher). Is the second link in #3 the reference for it? I skimmed that very long NIH article, and I couldn’t find it. But then, I’m just a regular mom, and am not used to science speak vocabulary, so…. Some interesting statistics. I was 1 day early with my oldest and 2 days late with my son. On the last appointment before my oldest son was born I was told that he would weight around 8+ pounds….yeah, right! He weighted 10 lbs 12 oz. So, yeah, I can attest that number 1 is correct! I am fascinated that the NIH consensus came out shortly before ACOG (American College of Obstetricians and Gynecologists) issued less restrictive VBAC guidelines. I am currently trying to convince my OB to then convince his colleagues to allow me to have a trial of labor with baby #6, due in June. I had a C-section with babies #1 and 5, and had successful VBACs with #2-4. Both C-sections were due to non-recurring reasons and while I am still not convinced that the first one was necessary, I KNOW the last one was. Anyway, this is an area where I have been doing a LOT of research, so thank you for this post. Uggg! My doctor swore up and down my son was gong to be 13 pounds! Tried her best to get me to SCHEDULE a csection a month ahead of time! (my first child ever) I went ballistic and said absolutely not! If I can’t have him vaginally and it comes down to csection its one thing, but to be a healthy first time mom with no other reason then an estimated birth weight.. i don’t think so! Needlss to say I had a vaginal delivery as I planned and he was only 8lbs 10oz! Still a nice size baby but not nearly 13 pounds and I would have been sliced open for no good reason! I’m all for supporting women however they choose to plan their birth. But personally, I will not have my second child without an epidural! I had a wonderful doula and I think she is one of the reasons I didn’t end up with a c-sec after my 48 hour labor. I definitely think doulas are a must-have. The post that sits with me the most is “Ninety-five percent of low-risk women could give birth without medical intervention. About one quarter want to, but only 2 percent actually do. This needs to change! More on that all month long. ” I wanted to sooooo bad with my first child to go natural, in 2002 I learned as much as I could about alternative pain relief, I even got the kit that give you little shocks in your back then you have a contraction. I was all gung ho to do it but got ZERO support at the hospital to go natural. I was pushed to get an induction at 40 weeks (I was very low risk and only 20 at the time) and was ENCOURAGED to get an epidural. I was an hour away from a c section but for whever reason I went from 6cm – 10 cm in about 45 minutes, maybe it was the fear from hearing them say “if you don’t go to 10 within the next hour we’re going to have to do a csection”. My birth plan was ignored and I got no support. Fast forward 7 years and a new hospital with child #3. By this time I knew after 2 inductions and 2 epidurals that they were not the route I wanted to go again. So this time I avoided the call for induction and said I just wanted to wait – they were ok with that. 8 days past my due date I got my first contraction, laboured at home alone until my man came home from work, went to the hospital by the time I got there I was 7cm and asking for the friggin epi! but this time I had AMAZING nurses and a super cool doctor who DISCOURAGED the epidural. They told me I could do it, they told me it would be easier without the drugs and you know what, they were right. 30 minutes after the doctor broke my water, my son was in my arms. Now if only they could stop pushing formula and telling new Mom’s they are “not producing enough”. Thank you so much for posting this! I am grateful to have found a wonderful doctor who was able to deliver my first two babies. My first was an induction (at 42 1/2 weeks) and although it was not ‘completely’ natural – I didn’t have any pain medication and it really was textbook, except for the pitocin to get labor started. And I will also say that my doctor (one of the few) informed me well and let me make decisions about when to start the induction and how much to give me. I am so thankful that we made the decision together. My daughter was born in just under 12 hours. My second child (at 41 weeks) we started the same process and after 20 hours and no progression and immense pain we decided to do a c-section. It was a good decision for that delivery. He was very very stuck on my pelvic bones and sunny side up. We then moved out of state and I had to find a new doctor. I was determined to to have a VBAC and I am again thankful that I found a doctor who was at least open to the idea. My fourth child was 41 weeks and the doctor said we had to deliver and I was determined to not schedule and thankfully since I had a previous successful VBAC she was willing to try and only acceptable form of induction was breaking my water to get things started. I am happy to say that it went very well and again my child was born with out drugs. I would encourage any woman, try natural birth! I know that each pregnancy is different and each mom’s body is different, but we need to let nature and God do what we were designed to do….not just medicate and consider it is ‘procedure’ There are so many more benefits to a natural and drug free birth. Thank you for this info. Could you please give the reference for #4? I’m trying to make a decision on VBAC and this maternal death rate stat would be an important fact to consider. Oh sorry about that! Somehow I lost the #4 but the reference was still there. It is the NIH consensus link above. Also see my reply to Sarah above that shows the exact quote from the study. Congratulations to you on your baby and on fully researching your options! I’m part of the 2%. :) i’ve had 2 undisturbed births with midwives at a freestanding birth center. Planning a homebirth for #3 due in the spring with 1 of the midwives from there. Our local hospitals are slowly improving things, but not to the point where i’d feel safe and non-defensive there. Plus, my last labor was 4.5 hours total!! He was a bathroom baby. I don’t want a car baby! :) thank you for writing this. I knew most of these from my own research over the years, but the 2% surprised me. I hope it can change too! I already know i’ve had some impact with a few family/friends who have yet to have kids and 1 friend did end up having her daughter at home. I think to think it was partly her research and partly my birth experiences encouraging her that it can be done. What I really don’t like is when the natural birth advocates basically BULLY the rest of us into having natural births. Just because YOU were able to deal with the pain doesn’t mean the rest of us can nor wanted/want to do so. I had an epidural, and LOVED it, because I was then able to focus on the task at hand. I will NEVER go natural by choice. NO way. Too much pain. There is no class, no doula, no method, that would make me reconsider my position on this. I am a doula. And before a birth 4 years ago I thought EVERYONE could have a natural birth. Then I attended a birth where the mom just could not handle the smallest amount of pain or nausea. SO I definitely see the other side. That being said having a baby naturally IS safer if everything is going well. Man-made interventions mess with what our bodies were designed to do, women (barring outside forces or genetic/physical issues some may have) were made for giving birth. And reality is most doctors give medication and schedule c-sections for convenience to their schedule and sometimes the mother’s. I have not looked back on any of my 3 birth’s as pain, but as hard work. And would never go to a hospital again for birth (BUT thank God he allowed us the knowledge to have those things there if something were to go wrong – but those are a last resort for me). And I AM convinced had I not had a doula at my first birth I would have ended up with a c-section. I had already been at the hospital for 8 hours and the last 4 hours of that had been having contractions with no further dilation. The doctor wanted to start me on pitocin, my water had not yet broken. Our doula asked if we could try that first. His response? “Yes, but that won’t do anything.” Ou baby came out a half hour later totally fine! Had I started on pitocin it would have probably sent our baby into distress, me being too exhausted to continue and sent me straight for an emergency c-section. Natural is NOT one size fits all. BUT we must arm ourselves with knowledge and not cave to fear. I loved my epi too. It wasn’t what I wanted (I wanted a natural birth) but circumstances didn’t work out that way. I don’t see any bullying here though to be honest. In the opening paragraph she says “f women had this information available to them, they might choose differently for themselves and their babies.” Might. You obviously would not make a different choice and that’s okay. You can’t say you didn’t make it without some knowledge, right? That’s what she’s trying to show the reader – that there is a choice and to give them so information to help them make a decision. Posts like this aren’t meant to bully their meant to help mama think and ask questions and make informed choices either way. Also, I can see how some people might feel like it is bullying and how maybe some individuals are. But there is also an aspect of it of moms caring enough about other moms and their babies that they are trying to spread knowledge and get people to research and take hold of their own health and not just believe a doctor on everything. I’ve done it both ways and get both sides. Although I think only information is presented here. I do want to say that you *can* do it (I’ve never seen a documented death from pain as the cause of death). You may not want too, and I get that. I’ve had two epi births and 2 natural births. There are pros and cons to each. I’ve had 4 children in the past 6 1/2 yrs and I can say that from personal experience that someone can have seizures from too much pain caused by blood pressure getting too high. It happened with all 4 of my pregnancies. For me, it was either get an epidural for the pain or get a C-section. I would have loved to experience natural and prayed each time that my bp would not go sky high but each time it did just that. I guess I dont understand why any woman would want to go through a natural birth.. they are honstly crazy. I am 18 weeks pregnant and I told my doctor I really want a c section but she wants to stay away because of all my scar tissue. I was very upset when I heard this and I wonder if tge pain I will have to go through will be worth it. You better believe if I have to give a natural birth I WILL get an epidural and every other pain reducer I can possibly have. Giving birth scares me so much and im honstly dreading it and I wont have a good experience at all. Hi there! Congratulations on your pregnancy! I strongly support every woman’s right to choose the way she gives birth. For that reason, I truly am happy that epidurals are available even if I wouldn’t choose to get one myself. When that decision is based on solid research as to the pros and cons of an epidural or any other intervention, you can go forward confidently and have a positive birth experience. That said, I “hear” so much emotion behind your comment, and feel so sad for you to go into birth making decisions based on fear instead of information. I just wanted to challenge you to keep searching: research, read positive birth stories, take a childbirth education class. You have many weeks ahead in your pregnancy, and I would love for you to have a positive experience during your birth, whatever you decide about the details of your birth plan. 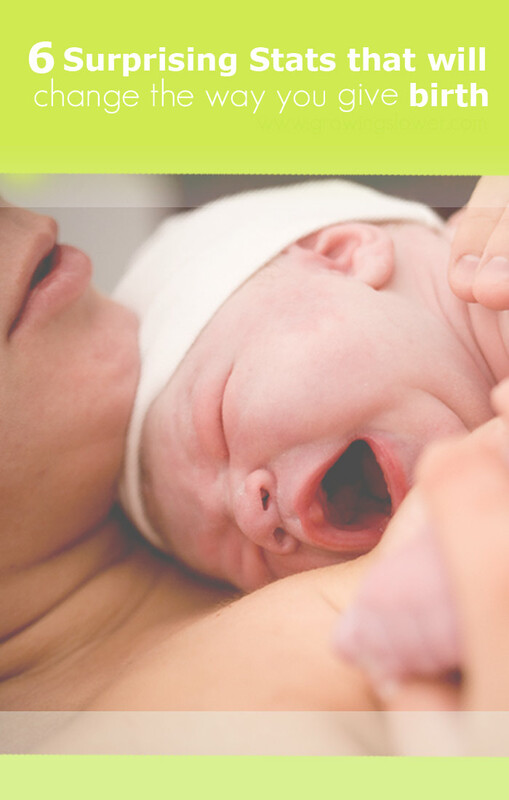 Believe me, a C-section is not painless–you just have all the pain AFTER you have the baby, when you really want to be bonding and enjoying it. Your doctor is right to want to avoid that if possible. If you need the epi, then take it, but don’t believe that a C-section involves no pain. Excellent post! The last point really drives it home… so many women can birth naturally! How does everyone think the population of the world got to 7 billion?! Congratulations! Praying everything goes wonderfully for you the second time around! It’s such a powerful thing to make a confident informed decision! If women make the choice to get an induction, epidural or c-section what’s it to you? None of these statistics need to change, they represent nothing more than birth choice. These may not be choices you would make but where do you get off trying to make choices for other people. The notion that women don’t know anything about birth is ridiculous. There are copious amounts of blogs and articles online, largely from the judgmental natural birth crowd, that every woman in America has access to. Women are making informed decisions about these things even if you don’t like the decisions they make. I appreciate you taking the time to leave your thoughts! However, I have to call into question your assumption that these stats represent birth choice. Research shows that about 25% of moms to be plan to have a natural birth, yet only 2% are actually getting one (even thought 98% of low risk women could). It is that gap that fills me with passion to empower women to take charge of their birth stories. It is that stat that shows me that more information is needed. You will NEVER hear me say that I think that all women should have a natural birth. I respect every woman’s right to make that decision. It just so happens that no one is going to deny you an epidural in this country yet women who do want natural birth are daily having their right to personal autonomy ignored. I consider myself an advocate for WOMEN not for natural birth. Did you read this above? It is entirely about choice. If you would choose an epidural or induction there is nothing wrong with that. Imagine though that you’d rather not have a c-section, wouldn’t you want to know that you’re increasing your risk for one? Information is Information, what moms-to-be choose to do with it is always up to them. Copious amounts of blogs and articles online… Yeah this is one of them and the author has as much right to express her opinion and information she believes is important as you do. And note in terms of judging, she’s not the one asking where do you get off. Thank you for your opinion though. 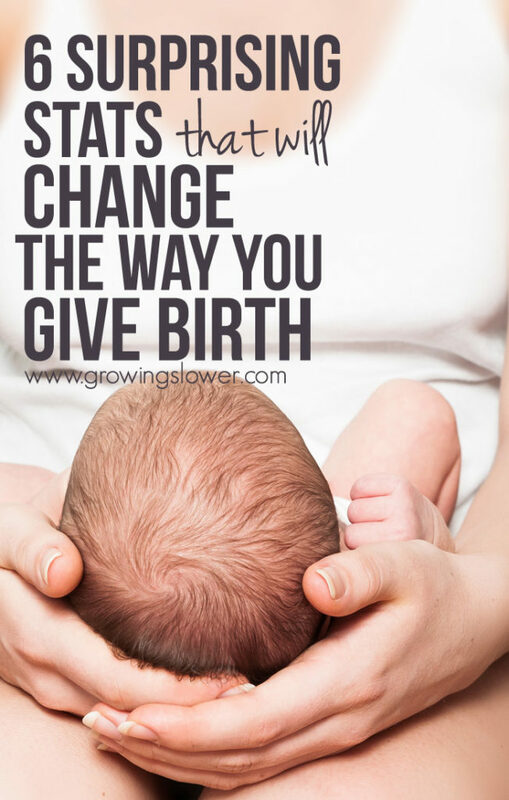 Personally I fell into this gap, I ‘wanted’ a natural birth and THIS website right here helped me find the information and support that my mind needed to have the courage to turn down the epidural when surely I would have taken it otherwise. 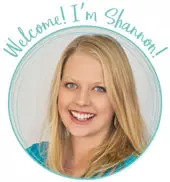 I also respect everyone’s decision and I am very grateful for Shannon’s site and information. I’m glad she is writing for ‘the gap’, that 23% who want natural but don’t end up having the knowledge/support/guts to actually do it in the labor room… I don’t think her posts discourage people from scheduling their births, choosing induction and epidurals etc. The last feeling I got was one of judgement, I think this site simply lays out a foundation for the people like me who can use that little bit of support. I’m sorry you found it offensive. Thank you for all you do Shannon! Thank you for this article, Shannon! It isn’t judgemental at all and you’re empowering women, not limiting them. I’ve had a vaginal birth but with an epidural, laying on a hospital bed and another on a swiss ball/in a birthing pool and would never go back to the former. We are lucky in NZ that the ‘norm’ is to have your baby in the hospital with midwives in attendance and doctors present only if needed. I feel sad that so many women believe that birth is a medical event and fear it as such. ALL 8 are healthy and happy!!! I’m actually really proud to be one of those that had my first child with no medical intervention. It was the best thing I could have done. My labor was just over 2 hours and I felt amazing afterwards and my baby was happy and healthy. I think each mom should make the best choice for her and baby. I went into labor naturally on my due date. I was scheduled for inducement the next day. I was barely a 1 and in excruciating pain. I finally got my epidural 11 hours later and still a 1. They never could turn the pitocin up because his heart rate couldn’t take it. After 60 hours and barely a 4 and only 75% effaced and vomiting, my son’s heart rate couldn’t take it. My ob said we needed to do a csec. I was kind of sad but at that point I just wanted to hold my son and have us both be healthy. My labor was extremely painful due to back issues. I knew I should have scheduled a csec but I wanted to try a vaginal delivery. I should have trusted my instincts. If there is ever a 2nd, it will be a scheduled csec. I am a labor and delivery nurse and I love this! I really hate hate hate #1. #1 is a massive myth. Every woman’s body is different! I had my first child at 36.5 weeks weighing 7.9 pounds with less than 20 hours of labor and my second child @ 37 weeks weighing 8.3 pounds with 23 hours of labor. For some pregnant women it’s 40 weeks for others of us we carry 9 months. My babies were just fine at birth. And the other myth is that your first pregnancy is hardest. Dumb people with dumb advice. Love this article. I support women during their pregnancy and birth with craniosacral therapy. I also provide free cranio assessment for newborn babies and mums to help them release any residual birth trauma and imprint. I like to mention that even if mums had to go through emergency c-section it is does not necessarily mean that you and your baby would have birth trauma. As long as you can remain calm or maintain calmness, have strong support and reassurances and feel safe (or feel that you are in safe hands of your medical practitioners) your nervous system would not go into overwhelmed. Your body would have the resources to disperse the fight/flight response and your baby would resonate to this. I am in a different group I guess. I delivered two children both at hospitals. The first I didn’t know I was in labor until I went to my doctor appt. However due to rare and extreme circumstances I was forced an epidural for my safety as my bp was so ungodly high. However, my Dr informed of ALL my options, natural and medical and gave me the choice. My daughter was born at 39 weeks. With the second I was induced due to extreme bp issues again at 37 weeks. Again I was given all the information but truly for my situation it was best. Both labors were under 8 hours total, both relaxed. I think the article is informative. I will say you may not want something however sometimes its not a choice or elective. There are times like mine where intervention is necessary. While I still hope next time will be different and can be more natural at the end of the day we all entered the mommy club. I think natural birth is awesome but hospital birth can be as well. To each their own. While many don’t feel comfy in a hospital, given my experience I would be worried not having medical staff within reach due to my issues. Again to each their own. Some Dr’s stink but I do think they are informing more and are more open than ever before. As a Labor and Delivery Nurse of 5 years I loved this article up until the last part of #4… Because this statistic is somewhat dancing around or ignoring the fact that a “failed VBAC” will become a c-section because the baby Must come out and all c-sections of failed VBACs are repeat c-sections. Also, many C-sections are sick moms: those with diabetes or hypertension or obesity or all of the above, and are at greater risk anyway. Their bodies will not cooperate with labor due to many factors but one of these truths is the fact that labor is a WORKOUT! And many of us are not as fit as we should be for this marathon. Cardiovascularly, strength, or endurance. Every labor is different. #5 Inductions have similar reasons as repeat c-sections for being necessary. If you’re over 41 weeks, your placenta is likely starting to deteriorate which means your baby is not getting oxygen as optimally as he or she had been (if you are fit and perfuse the placenta well in the first place), which can be evaluated with a BPP (biophysical profile) test and an NST (non-stress test: 20 minutes of monitoring baby’s heart rate and uterine activity) to confirm the baby’s well-being before induction. Inductions are overused, Yes, but sometimes necessary. Epidurals are also sometimes necessary for some women who become exhausted and whose labor is not progressing. Many of my patients have been able to relax and their cervix magically melts away shortly after the epidural because they are finally able to relax. I LOVE it when my patients go natural: it is wonderful and beautiful but they should also NOT be shamed because they needed an epidural. Every labor is different! Every Body is different, and there are two bodies in one during labor. #6 is generally true; but again, we’re Americans and we’re really not as low-risk as we should be. I have seen enough home-births-gone-wrong to never take or endorse that 5% risk. So unless you truly have no risk factors and your BMI is around 20% and you work out regularly and go into labor on your own… Please please come see me at the hospital and be open to your friendly nurse’s tips and advice! Thanks! What you described with the epidural is exactly what happened to me! I couldn’t get beyond 6cm because I was in so much pain. Got an epidural and had my baby 2 hours later. I had been in labor for 15 hours up until that point. I believe I would have ended up with a csec had I not got the epidural. I’m currently 16 weeks with my second one. I’m planning to start out natural, but if I plateau again, I have no problem with getting another epidural. With all due respect, this is a very technical question that should only be answered by a medical professional that has reviewed this patient’s history and can make a sound, medically-based recommendation that is in the best interest of mom and baby. I appreciate that you are empowering women to make well-educated choices, but in this particular case, research does not replace 12 years of medical school, residency, and fellowship. You may have missed the last bit of her reply. She, in fact, did recommend her to go to her doc. Surely you weren’t discouraging researching the matter, too. I am due here in 1 week, so I am always interested in reading other peoples perspective on birth, I will say with my first I was 11 days past my EDD, and was so ready to have him, I had prodromal labor that lasted for over 48 hours, I will also say that each time I received pain meds it actually helped more than hindered. I did eventually get an epidural. Which allowed me to take a much needed nap, the nurses turned the epidural down when I was close to pushing and I’m so glad I got that rest after two whole days of no sleep as I had two hours of pushing ahead of me. Because they turned the epidural down during pushing I was up and walking right after birth, and had a truly WONDERFUL birth experience. I will say what I truly enjoy about the discussion around birth choices and medical practices is that it encourages people to really take ahold of their medical decisions, not just take what a doctor or nurse says for granted and to not be bullied into doing something they don’t want to do. However after reading a lot of stories and watching ALOT of birthing stories I heard that a lot of how women had bad experiences in the hospital with their birth. I am a nurse in the ICU, but I live in Boulder, which is well known for trying to be all natural all things. However, I have noticed when people come into the hospital distrusting medicine and medical staff, including the nurses, thinking everybody is against them and will be trying to change their minds. It puts them and the hospital staff at odds, and at that point there is nothing the nurses can say and do that seems right. I think this sets the tone for your hospital experience. Coming from a nurse I will say I have had ALL types of patients, and try to respect their wishes as best as I can, I try to be their advocate. Also it is okay to ask for a different nurse if you feel like you are not being heard. I had a birth plan for the first babe, but my main goal was that my babe and I survive. Being a nurse I have seen all kinds of things happen and even if you are that 0.1 % whose babe dies during birth because you selfishly wanted everything to go your way it is absolutely devastating. Yes things can go wrong with C-sections, things can go just as wrong with home birth. After my first I cross trained in the hospital to work with mom babies and help in labor and delivery, coming from an ICU perspective where I deal with the sickest of sick people, I have mad respect for Labor and delivery nurses. They are extremely smart, and deal with all sorts of dangerous situations all the time. Please don’t set yourself up for distrusting the people who truly do care for you and want the best for YOU and your BABY! Hi there! I love your blog and find a lot of useful information. I realize this is an old post,but because people still read it I feel that I need to say a few things for the sake of new mom’s. First, as wonderful as it is to go all natural, that really is not going to happen unless you have your child in a rice patty or in the bush. So, within the context of what is natural here in the states, then yes, having your baby without unnecessary medical interventions is ideal. However, sometimes medical intervention is not only necessary, it is critical for the safety of mom and baby! When I found out I was pregnant with my first, I went 100% crunchy, because according to my girlfriends, that is what a good mom did. Naturally, I was determined to do the same with birth. I passed on unnecessary medical procedures, limited the amount of ultrasounds, didn’t get vaccinations while pregnant, drank the right tea’s, took organic supplements, switched to an all natural organic from-scratch diet, saw a chiropractor, treated morning sickness naturally, maintained a healthy weight, had a midwife and requested a doula. I also set myself up for failure, in some ways. Not having a natural birth was not an option, so much so I didn’t even ask about epidurals,c-sections,recovery times, etc. I went into labor naturally, with my water breaking a week before munchkins due date. I labored for 36 hours and it was easy, until they realized I had not progressed passed 1 cm. The contractions were there and I was in full blown labor, but my cervix would not open. My daughter ended up an emergency c-sec and come to find out, would not have happened any other way. My pelvis was not shaped correctly and had medical science not intervened we would have died. Obviously, I was not a candidate for a v-bac with my second and what a blessing in disguise that was. I was determined to go to a full 40 weeks and convinced the doctors to wait 3 additional days from when they wanted to take him. Stupid me! He ended up being born the day after Christmas, via c-sec and we almost didn’t make it. I was in labor on Christmas day night without knowing, dismissing it as nerves. When we arrived at the hospital the next morning, they discovered my uterus had split open and the only thing holding him in was his amniotic fluid sack and my bladder. Had my water broken we would have both died and now I cannot have anymore children without great risk. Now, I don’t say this to scare anyone. I say it because there is more than one side to the story and don’t feel like a failure because life did not go according to plan. Medicine is here for a reason and it serves a great purpose when the plan does not go according to plan. If in the event it doesn’t, don’t beat yourself up about it. Don’t read these blogs and comments thinking you failed. I don’t feel as though the author was meaning for this to sound that way, and I know that I was one of the small percentage that this happens to, but people need to be aware that it can happen. In the unlikely event it does, just be open to it and grateful that medical interventions are here to save lives. How can a doula decrease your “risk” of c-section by 28%? You either medically need a c-section or you don’t. Having someone coach you through labor won’t change the position of your baby, expand your birthing canal or help with any other medical or physiological condition that requires a c-section. Bottom line, you need to get the baby out safely one way or another and declining a c-section could mean horrible things for your baby or yourself. There are also medical reasons for inductions. The placenta gets old and can stop transferring nutrients to your baby. No, I don’t think it should be an immediate decision, but it’s so important to understand the consequences before preaching that this should be the only option for mothers. I’m all for natural, but you have to be smart about your decisions as well. “95% could give birth without medical intervention”. That’s great and all, but I’ll be getting my epidural again. Birth freaking hurts! And not in a way that anyone could have prepared you for. It’s a pain only understood by women who have experienced it. No, my epidural wasn’t completely effective, but I’m not sorry that I got it, and I will be getting it with the second one. The reason we have medical intervention is to lower the risk of death associated with birth. I’m tired of hearing “you should just do it natural. It’s what your body was made to do. Women have been doing it this way since the beginning of time.” Well women and infant mortality rates were also sky high. If you want to give birth with no medical intervention, by all means, to each his own. But I don’t feel comfortable not getting medical help. I don’t honestly think I could have given birth naturally if I hadn’t had an epidural and gotten an hours worth of relief and rest before pushing. I was on the verge of needing surgery to get her out but managed to push one last time and get her past the shoulders so the doctor could get her out. I wouldn’t trade my epidural or the drugs I got after for the world! They allowed me some relief so that I could concentrate on my new baby and get some rest. I had my labor induced at 41 weeks and 3 days. It brought on very intense contractions, very quickly. The pain was overwhelming and I happily welcomed the epidural. Every pregnancy and labor is different but for me, the epidural allowed me to rest as my labor progressed and I doubt I would have gotten through the pushing without it. My epidural was turned off when I was ready to push and i felt every push and in control/energized. I believe the epidural saved me from a c-section. My advice is to take any statistic with an open mind. Epidurals and medical intervention are there to help. They are not for everyone but should not be criticized as making things less natural or birth less beautiful. The horrendous treatment I got from the male ob-gyn on my first visit. This man had a profound religious prejudice against unwed mothers. He referred to my most private body parts as “holes” and made it clear the birth would go his way, not my way. With a lot of tears and a little legwork, I found a midwife. Seven months later I gave birth to a perfect baby girl, at home, surrounded by loved ones. That baby will be 30 this year. Her children were also born at home. I have remained a supporter of midwifery and the right to choose your birthing place. Love this! I made the mistake of getting induced with my first (even though I knew better lol), ending up getting an epidural, pushed for 3 hours with no luck, and ended up getting a c-section. I had a successful, unmedicated VBAC with my second and it was an amazing experience! Here’s a great resource as well: Push Back: Guilt in the Age of Natural Parenting by Amy Tuteur. Regarding #5, guess I beat the odds. I was induced due to high blood pressure. Reading articles and stats like this beforehand did nothing to calm my nerves when I did learn I would be unexpectedly induced immediately following my 38 week Dr appt where I had yet another high bp reading that did not go down. Induced with cytotec, a failed attempt at Foley balloon, then finally pitocin (which was started off slowly and carefully monitored), and after 2 sleepless nights in the hospital I did opt for an epidural which allowed me 6 hours of rest before nearly 2 hours of pushing and a successful vaginal delivery. And a very important one that ought to be a fundamental part of informed consent when it comes to birth: a cesarean section is 4-10 times more likely (exact numbers vary by study) to result in the death of the mother than a vaginal delivery. That seems like an important thing to be told before an elective c-section. I’ve had 5 home births. My first son was sunny side up and my longest labor, 23ish hours from first contraction to birth. I know other mothers who had c-sections out of necessity. None of them had horrible experiences yet I still was led to believe their recovery was more difficult than mine. Natural was definitely the right choice for me. And since I prefer to labor alone in order to relax, home was also a great choice for me. I was only checked periodically and when baby was ready to be born, I could be in my own bed. It was so nice. Clean up was a breeze too. If anyone is interested in home birth, I can wholeheartedly recommend it. But I also know not everyone can do it, for one reason or another, so I’m here to encourage, not to judge.